What information is Available on Where’s My Refund? Refund information for the most current tax year that you filed will generally be available 72 hours after we acknowledge receipt of your e-filed return, or three to four weeks after you mail your paper return. What information is Not Available on Where’s My Refund? Where’s My Refund? does not track refunds that are claimed on amended tax returns. Amended/corrected returns may take 8 to 12 weeks, or longer, to process. If it’s been more than 8 weeks since you filed your amended return and you haven’t received your refund, please contact a customer service representative by calling 800-829-1040. From outside the U.S., call 267-941-1000. TTY/TDD: 800-829-4059. If you need refund information on federal tax returns other than U.S. Individual Income Tax (Forms 1040, 1040A, and 1040EZ) please call us, toll free, at 800-829-4933. From outside the U.S., call 267-941-1000. TTY/TDD: 800-829-4059. Information on Where’s My Refund? will be for the latest tax year that we have on file for you. Example: You filed your 2009 tax return on January 1, 2010 and then filed your 2008 tax return on February 1, 2010. The information available on Where’s My Refund will be for the 2009 tax return even though you filed your 2008 return after your 2009 return. If your refund check was returned to us as undeliverable by the U.S. Post Office, your refund information will remain available on Where’s My Refund? throughout the following year until you file tax return for a more current tax year. If your refund was returned to us by the U.S. Postal Service you may be able to change the address we have on file for you, online. Where’s My Refund? will offer this service to you if you’re eligible. Generally, you can file an online claim for a replacement check if it’s been more than 28 days from the date that we mailed your refund. Where’s My Refund? will give you detailed information about filing a claim if this situation applies to you. You can start checking on the status of your return within 24 hours after we have received your e-filed tax return or 4 weeks after you mail a paper tax return. Will Where’s My Refund? provide a refund status if I filed an amended return? No it does not provide information about amended tax returns. There’s no need for you to call the IRS about your refund status unless Where’s My Refund? displays a specific message that says you should call. 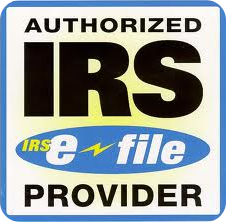 If we need more information to process your tax return, we will contact you by mail. Otherwise Where’s My Refund? has the most up to date information available about your refund. Use the IRS2Go mobile app or use the Where’s My Refund? tool. Both are available 24 hours a day, 7 days a week. Please remember, you can also track all of your state refunds through our website Midwestbkpg.com and use the “Forms & Links” tab.